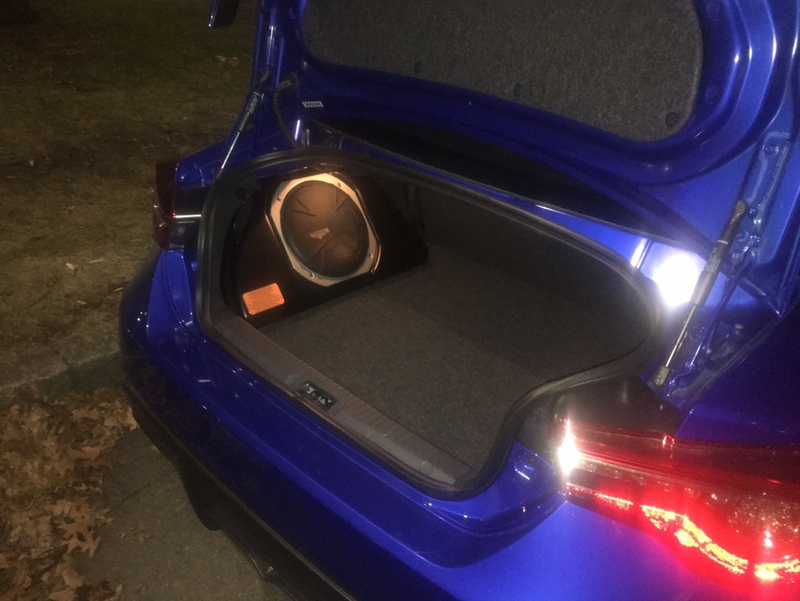 is the Subaru dealer subwoofer upgrade worth getting? Does anyone have a spare/no longer needed cable- the long one run from the back of the head unit to the sub? I know I can wire it differently but I am just intending on using this as a temporary situation while I build custom boxes over the next 3 months or so. i'm talking about the one offered in the Subaru catalog. The thing is overpriced but still installs and looks nice in the space it is intended to. It is also pretty lightweight. My problem with this thing is inability to adjust the level to my (which is the only correct) setting which means a no go for me. There are lots of other alternatives. Sorry to revive an old thread but I can't find any information on this. I'm also interested in getting this sub for my 2017 Toyota 86 but I am not sure if it will work with my stock head unit/amp. Does anyone know whether or not this will work with my car? Does this subwoofer work with an aftermarket Kenwood unit? Does the OEM sub work alright with an aftermarket head unit? Yes i have this subwoofer working on my car. I have a Sony XAV-AX100 and the kicker subwoofer. You just hook it up normally like if you had nothing installed. 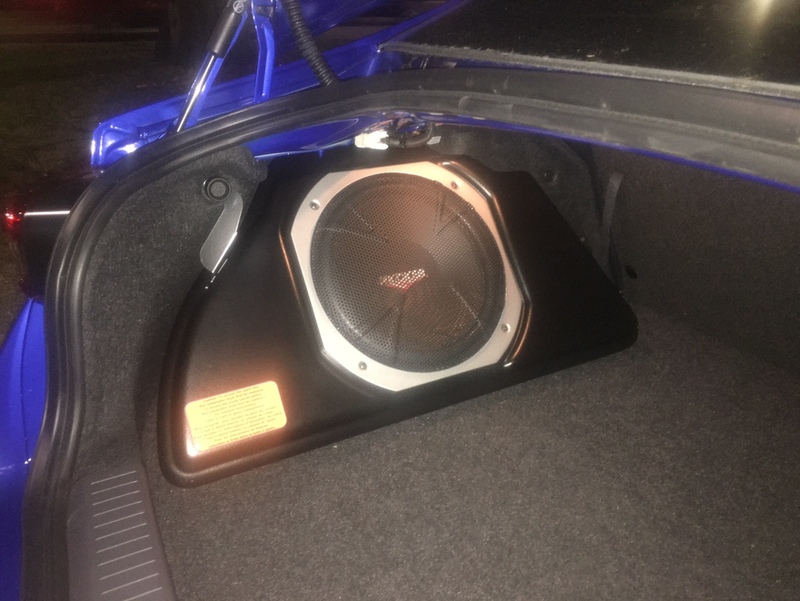 The harness of the subwoofer is just between the original car harness and the one that connects to the head unit. Can you adjust the sub output through the stock or after market head unit? If yes, why do we need the bass limiter? Since I don’t have time and experience to play with a new HU and a new system I went with the stock system by adding the subwoofer. I like how nicely it fits inside. The sound is completely fine. Maybe not the best but with quality mp3 or mp4 the sound is satisfying. Because it was within the deal that I had with the dealer, I am happy for a hassle-free system. still going to say a hard no on this. Walk into a real audio store, or go online to https://www.diymobileaudio.com/forum/. You can get better subs for much less with real head units and install for less than the stock hunk of crap costs. Totally agree! But spending time to set up a right configuration or pay to have it installed is what I didn’t want. In addition, Soundman98 is wright. There are a few boxes fitting well and they are all expensive. Therefore, still an OK setup. the issue is this thing costs more than an audio place would charge you. If it was $100 like it should be I would say ok, but the cost of this thing is so far out of whack with the quality.